Paul Weinstein is a founding General Partner of Azure with over 28 years of investment experience across numerous sectors of technology. Paul's primary investment focus is on communications technology, data center, cloud infrastructure and applications and mobility solutions. Paul is currently representing Azure on the boards of InterModal Data, K2 Software, Virtual Instruments, Switchfly and Unitas Global. Paul previously represented Azure on the following investments: Broadlight (acquired by Broadcom), Fonality (acquired by NetFortris) NeoNova Network Services (acquired by NRTC), Tutum (acquired by Docker), World Wide Packets (acquired by Ciena), Vapps (acquired by Citrix), and Zend (acquired by Rogue Wave Software). Paul has served on the Ericsson North American Advisory Board and the Citrix Startup Accelerator Advisory Board. Prior to Azure, Paul was a Managing Director and communications equipment analyst covering the Data Communications and Network Equipment sectors at Credit Suisse First Boston (CSFB) in San Francisco. Prior to CSFB, Paul was a Managing Director and held a substantially similar position with Deutsche Bank Securities in San Francisco. Prior to Deutsche Bank, Paul was a Managing Director and held a substantially similar position with Paine Webber in New York and San Francisco. 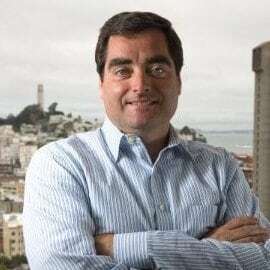 Prior to PaineWebber, Paul was a Senior Vice President and equity research analyst at Kidder Peabody in New York and Boston, where he was responsible for the Data Communications and Data Storage sectors. For four consecutive years (1995-1999), Paul was a top ranked analyst in the Institutional Investor and Greenwich Associates surveys. Paul has provided strategic and investment advice on numerous communications equipment and data networking companies. Notable firms included; 3Com, Alantec Networks (acquired by Fore Systems), Aspect Telecommunications, Bay Networks (acquired by Nortel), Broadcom, Cabletron, CacheFlow (name changed to Blue Coat), Chipcom (acquired by 3Com), Cisco Systems, Conner Peripherals (acquired by Seagate), Efficient Networks (acquired by Siemens), EMC Corporation, Fore Systems (acquired by GEC), Juniper, Komag Corporation, Latitude Communications (acquired by Cisco), Maxtor Corporation, MMC Networks (acquired by AMCC), Newbridge Networks (acquired by Alcatel), Nortel Networks, Packet Engines (acquired by Alcatel), Quantum Corporation, Read-Rite Corporation, Seagate, SynOptics, WellFleet (acquired by SynOptics) and Xylan (acquired by Alcatel). Paul received his B.S. degree in Finance from Babson College, where he graduated with highest honors. Paul has earned the Chartered Financial Analyst designation.